CIOR (Confédération Interalliée des Officiers de Réserve) is the Inter-allied Confederation of Reserve Officers. It consists of NATO member states and other participating nations with 34 countries in total, representing 1.3 million reservists. CIOR is the world’s largest military reserve officers’ organization. CIOMR (Confédération Interalliée des Officers Médicaux de Réserve) is an association, which brings together medical reservists and works with the COMEDS committee formed by the Heads of Medical Services of NATO member countries. 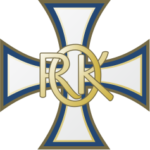 The Estonian Reserve Officers’ Association (EROA) was founded on June 22 1997 by participants of the first two voluntary reserve officers training courses held at the Battle School of the Defence Forces in Meegomäe, Võru County. The driving force bringing the volunteers together was their common concern for Estonia’s national security and the need to improve the will of defence of the nation. 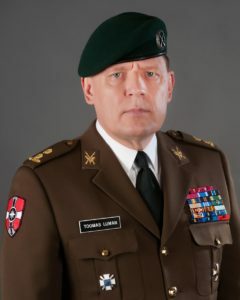 EROA has been a member of CIOR and CIOMR since 1999 and has been representing Estonian military reservists at the CIOR/CIOMR annual conferences since that time. The conferences are attended on the average by approximately five hundred reservists with delegations of member countries of CIOR/CIOMR. Participants’ accommodations are available at several hotels in Tallinn. The main hotel being the Radisson Blue for CIOR/CIOMR committees and the Nordic Hotel Forum for the YROW participants. Congress rooms are also available at the Swiss Hotel, all in the downtown area of Tallinn. Welcome to the Summer Congress of CIOR and CIOMR being held this year in Tallinn Estonia. I take this opportunity to thank my Estonian colleagues for the efforts I know they have made and the considerable resources they have mobilised to ensure this is a successful and productive event for all participants. There is an intense programme of work for all areas of interest and committees within CIOR, and I hope everyone who attends the Congress will make every effort both to contribute to and benefit from the proceedings. The role of Reserves in Defence and in particular within the NATO Alliance has changed radically over recent years and Reserves now constitute half of the mobilised strength of the Alliance. Reserves are no longer considered to be the Forces of last resort, they are indispensable and many of our National Defence Forces could not operate without their Reserve component. This is no more evident than in some of the specialisms in which this Congress is involved, namely Cyber CIMIC and indeed Medical activities in which our colleagues CIOMR lead. Bringing the talents of the ”Twice a Citizen” Reservist to the Military is no more evident than in the area of the Young Reserve Officer of whatever Service or discipline. This transformation in the role of Reservists in our National and International Defence Posture imposes upon us all as Reservists obligations of which we all need to be aware : let us all be clear that our attendance at this Summer Congress means we assume a collective responsibility above personal interest to contribute and to justify the confidence placed in us by our nations. It is an honour for all of us to serve and in so doing ensure the continuance of peace within the Alliance in the 21st Century, and in so doing contribute to World Security and to ensuring the kind of catastrophic conflict that so characterised the 20th Century is avoided. It is important too that as a representative body for Reservists we in CIOR, with our colleagues in both CIOMR and CISOR, present a strong and united viewpoint of the Reserves’ community which is clearly understood by NATO, our colleagues in the National Reserve Forces Committee and national Chains of Command. There could be no better location in which to hold this year’s Summer Congress than Estonia, it embodies the very best principles of NATO at the very Eastern Edge of the Alliance and illustrates the ability of multinational forces to work and indeed live together as a very strong commitment and signal of the intent to challenge any threat to World Peace. Once again I welcome you to Estonia and I wish every one of you a successful and productive Summer Congress, in whatever capacity you might be attending. The CIOMR welcomes you in Tallinn, Estonia, for our Summer Congress 2019 and I hope to see you all. 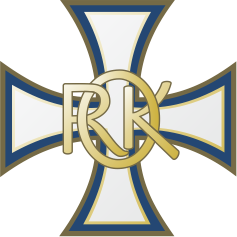 First of all, I would like to give a special thanks to our Estonian friends who are taking care of this challenging organization. I personally know all the efforts they have put in this task that will allow us to have a great stay in the gorgeous Estonia. It will be a great pleasure for me to meet many new people and, even more, to see again my dear colleagues and friends who, like me, have been taking part in these meetings for many years. the sharing of experiences among officers of the Medical Corps of our NATO member countries. Together with CIOR, CIOMR contributes to the preparation of our Reserve Officers. Reserve that is increasingly involved in various international scenarios. From my point of view, as International President, along with my staff, I will put all my efforts in order to reach our goals and to give the highest standards of “deliverables” to our stakeholders. I wish you a great Summer congress in this wonderful city. On behalf of the Reserve Officers of the Republic of Estonia, I am very pleased and honoured to welcome you to Estonia’s historic capital, Tallinn. Here on the shores of the Baltic Sea, history can be seen in all its glory. We await you in late July and early August 2019, to participate in our joint and traditional event. 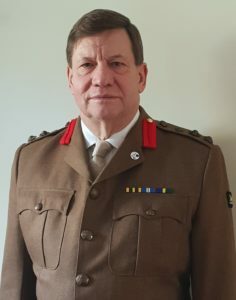 Just as, Christopher Argent, the CIOR President eloquently described in his welcoming address, with over 600 participants expected, it will be a truly exciting meeting of reservists from around the world here in Tallinn. I can assure that the organizing committee has done an exemplary job and we are very ready to receive you. The event is full of exciting sports events, intense language courses, various interesting work groups, all culminating in our annual symposium. I also hope you will find the time to familiarize yourself with our fascinating city, meet the people, enjoy the culture and get a further understanding of our national defence system. Ours is a history that spans the Hanseatic League to our modern E-nation; enjoy the essence of our unique country. I believe that with our shared work, values and social activities our ties will strengthen and will further us in our common goals. 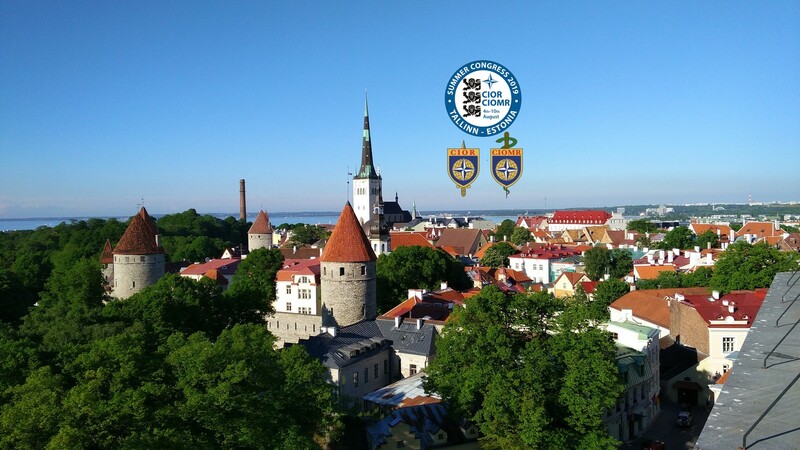 I look forward to meeting you this summer and on behalf of all of the organizers – welcome you to Estonia and a fruitful as well as enjoyable Summer Congress 2019 in Tallinn. spouses, companions, children, guests, observers and veterans etc. The DAL package at the CIOR/CIOMR Summer Congress 2019 includes Opening Ceremony with Estonian national evening, CIOR Symposium and DAL program. If DAL participant wants to take part from Closing Ceremony and Gala Dinner, then there is separate ticket for that. There is no obligation for a Delegate At Large to buy tickets, but if he/she wants to take part in Congress key events, we still kindly ask them to order a package. From 16.07.19 it is possible to register only on an agreement via e-mail sc19@erok.ee. Registration is done via Fienta platform. In accordance with a decision of CIOR Council, a country based discount code is asked when purchasing a ticked to the event. Each CIOR member nation and partner organisation has its own discount code and it has been distributed to the national member organisations.